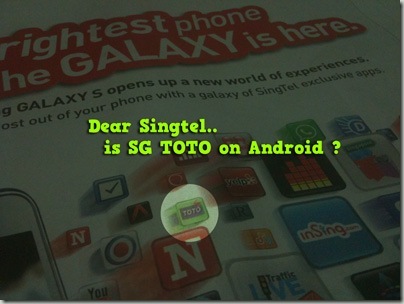 Singtel’s Advertisement for Galaxy S is Inaccurate.. 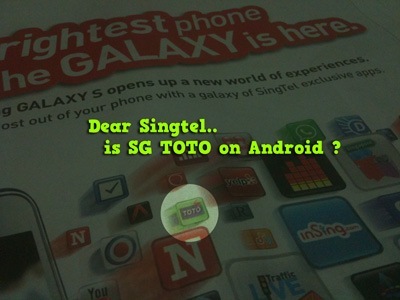 I am happy to find SG Toto as one of the app that works for the Android phone. But wait, I don’t remember releasing the app for Android..